GPT’s Melbourne Central has beaten long-time leader Mirvac’s Broadway Sydney to be the country’s highest ranking shopping centre by sales turnover per square metre, reports the AFR. 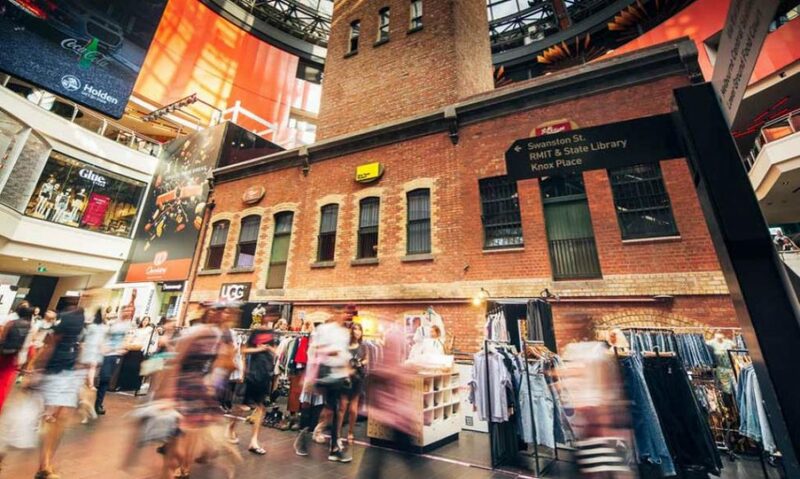 After six years at the top of the Shopping Centre News’ “Big Guns” report leader board, Broadway has been pipped in productivity by Melbourne Central, which improved 12 per cent to trade at $14,763 a square metre of lettable area. Broadway finished at $14,405 a square metre in second place, while Westfield Sydney was a close third at $13,934 a square metre. The Vicinity Centres and Gandel-owned Chadstone in Melbourne became the first centre in the country to reach the $2 billion mark—exactly 10 years after it became the first to achieve the $1 billion milestone. Its turnover of $2.135 billion showed a 10 per cent increase on last year’s figure. The results defy concern that bricks-and-mortar shops are at the end of their life, but also reflects changes the landlords have made at the centres to offer tenancies and facilities that continue to attract customers, notes The Sydney Morning Herald. These include hotels, residential developments, food courts and now office space, as well as new brands and smaller department stores. In the face of increasing retail headwinds, “these Big Gun centres have performed remarkably well,” SCN’s publisher, Michael Lloyd, said. “Our shopping centres are more than just places for buying stuff; they’re community focal points, places of social interaction. They are integral parts of our community infrastructure and we develop, lease, manage and market them in line with that definition,” he added. Nevertheless, experts are still cautious on the underlying economic conditions, with retail sales tipped to slide in the coming year, according to the latest Deloitte Access Economics’ Retail Forecasts for the first quarter of 2019. Deloitte predicts real retail turnover growth is expected to slip from 2.2 per cent in calendar 2018 to a more modest 1.6 per cent growth in 2019, before lifting back to 2.2 per cent growth in 2020. “For years retail landlords have had it easy with steady sales growth underpinning fixed escalations in retail rents. If a tenant wanted to leave there was always a replacement. This is no longer the case. Owners now have to work much harder and are increasingly offering inducements or incentives to get tenants to commit to their assets,” Grant MacKenzie, of Freehold Investment Management, which has about $500 million under management, told the AFR. This softer outlook is prompting major landlords, both listed property trusts and wholesale funds, to push close to $4 billion in malls into the market to reduce their exposure to the sector or to improve portfolio quality. Mall owner Vicinity, for example, has four assets on the market valued at around $310 million, while a plan to establish a $1 billion wholesale property fund in a joint venture with Singapore’s Keppel Capital, seeded with malls from Vicinity’s portfolio, has been put on the slow track. Meanwhile, fund manager GPT is aiming to reduce its exposure to retail to 40 per cent of assets implies divesting $800 million of retail property. Its wholesale shopping centre fund could also sell as much as $600 million of property. This month, the company quietly putting up a half interest in the $2.7 billion Highpoint Shopping Centre in Melbourne for a swap. The group is believed to have reached out to other landlords, with the likes of AMP Capital, QIC Global Real Estate and Westfield owner Scentre Group in its sights.